Grosse Pointe Shores Councilman Matt Seely. Photo via Facebook. A conservative Grosse Pointe Shores councilman mocked sexual assault victims – again – in a social media post after a woman accused the U.S. Supreme Court nominee of pinning her down, fondling her and preventing her from screaming in high school. 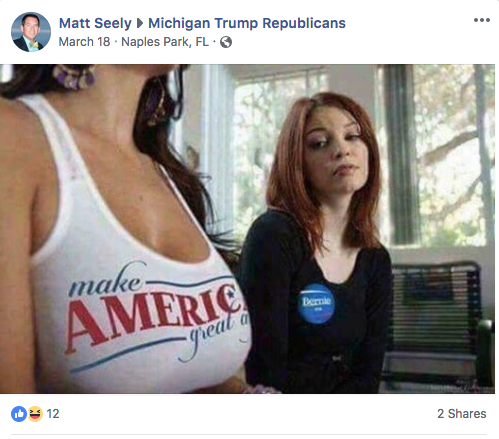 First-term Republican Councilman Matt Seely posted a meme on a pro-Trump Facebook page on Monday that made light of the allegations because they date back decades ago while the woman was in high school. “I do think lightly of political stunts that attempt to destroy a persons reputation and character,” Seely said. 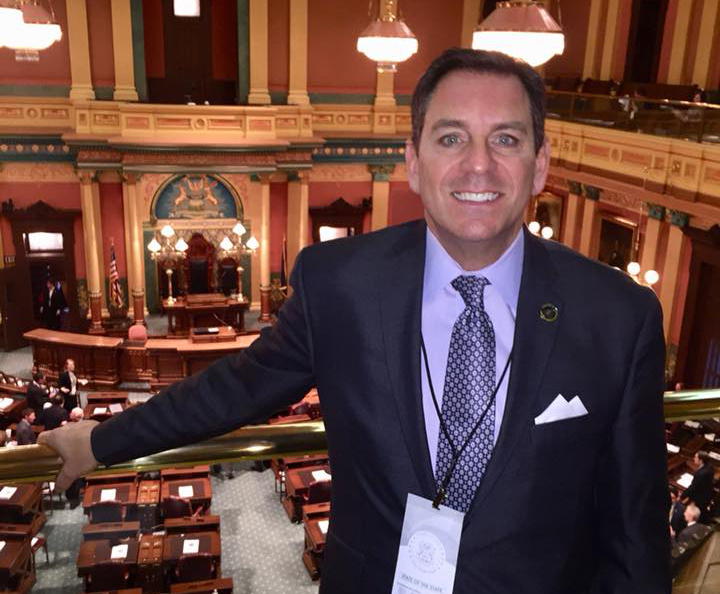 At least one group – Progress Michigan – is calling for Seely’s resignation. Seely told the Grosse Pointe News in January that Trump’s ascent to presidency inspired him to get more involved in politics. Before running for city council last year, Seely opened a Trump campaign office in Macomb County in 2015. In previous social media posts, Seely objectified women and mocked sexual assault allegations against Trump. Christine Blasey Ford, a 51-year-old research psychologist, claims Kavanaugh corralled her into a bedroom at a high school party while his friend stood watch at the door. She said Kavanaugh “pinned her to a bed on her back and groped her over her clothes, grinding his body against hers and clumsily attempting to pull off her one-piece bathing suit and the clothing she wore over it,” according to the Washington Post. Ford said she has undergone therapy and told her husband about the assault years ago.